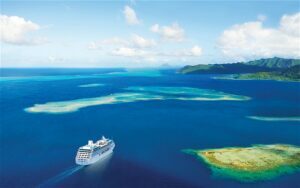 The UK’s biggest event for discovering a world of voyages. The Glasgow Cruise Show, held at the SECC is packed with inspiration and information to help you discover your perfect cruise. Whether you’re an experienced ocean traveller, a lover of the laidback culturally rich river cruises, or completely new to the wonders of cruising – you are sure to find inspiration and advice for your next voyage at the Glasgow Cruise Show. There is an amazing array of destinations and cruise styles available, some you may never have discovered before, so let the show bring you the whole spectrum of incredible holidays afloat and make it easy for you to find your ideal cruise. The show is your chance to meet with all the major and specialist cruise lines under one roof and ask those all important questions face-to-face, plus you can hear directly from the cruise experts about what’s new for 2015, gather impartial advice you won’t find in the brochure and save thousands of pounds with the exclusive show only offers. For more show information, talk timetables and a full exhibitors list please visit www.cruisingshow.com. Tickets: Tickets £6 in advance when booking tickets online at www.cruisingshow.com or when calling 0871 620 4024. (Calls cost 10p per minute plus network extras). £10 on the door.